The perfect circle everytime! 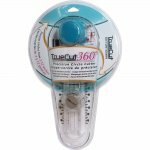 The advanced design of the TrueCut 360º Circle Cutter is so easy to use, and it prevents your fabric from moving or wrinkling while you cut. 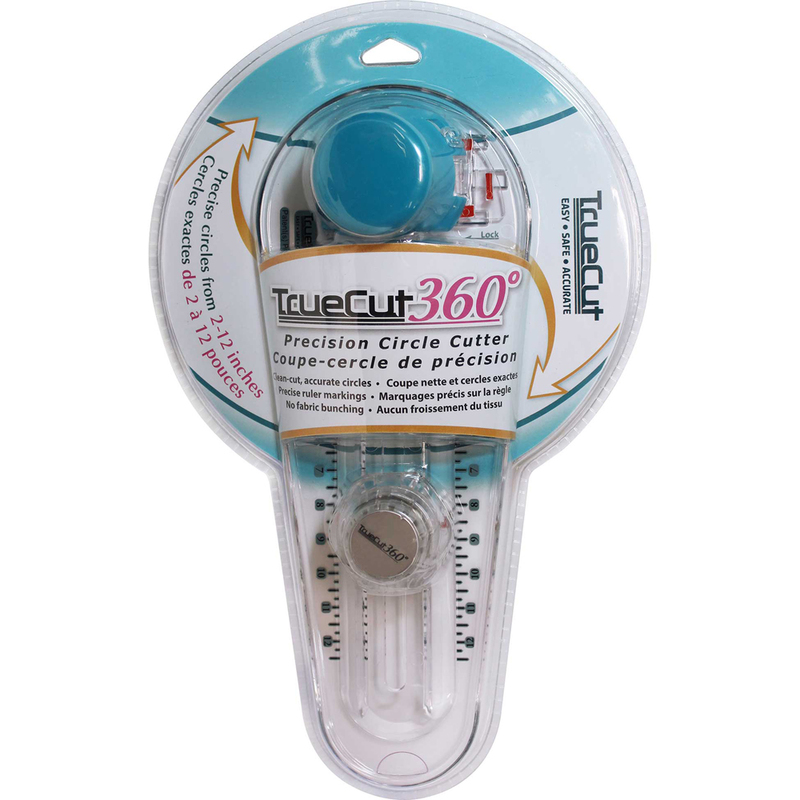 The TrueCut 360º is designed with exact markings for precise circles. It’s as easy as 1, 2, 3. Set the circle size, lock in place and rotate the cutter. Precise Circles from 2” to 12”. Centre pin keeps you in your position as you make your cuts.